Kristin Jacob O.D. - Optometric Physician (Bellevue) - Book Appointment Online! We are IN network for EYEMED - Access plan only, and United Health Care - Spectera. We are unable to book these plans through zocdoc at this time. Please call the office to book for these plans. 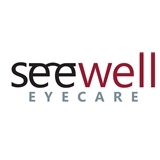 Our office has now moved to SeeWell EyeCare in Lake Hills Village. Our address is 15522 Lake Hills Blvd Bellevue, WA 98007. We are across from the leasing office parking area and below Lighthouse Church. We are dedicated to holistic ocular health. This means conducting thorough testing of the eyes. We handle both routine vision exams for glasses and contact prescriptions, as well as health problems such as conjunctivitis, dry eye and ocular allergies. Contact lens exams include a free pair of trial disposable contact lenses. Contact lenses can be purchased from our office at a price comparable to many online distributors. A written copy of the prescription is always given to each patient at the end of the exam. We also do children's exams starting at the age of 5. Great eye doctor. Recommend highly.